2018This title uses simple words and detailed illustrations to introduce beginners to a vast array of warm-up preparations, yoga types and common postures classified into four difficulty levels. As a sports and health book focusing on yoga, this title uses simple words and detailed illustrations to introduce beginners to a vast array of warm-up preparations, yoga types and common postures classified into four difficulty levels. 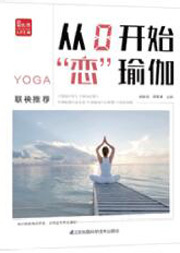 Yang Zhenchen first encountered yoga in 2006. He is the founder of the 2011 China-India Yoga Summit and won a national gold prize in 2013 from the China Yoga Association for his years of dedication to the exercise. Wen Xueqing has engaged in teaching yoga for 10 years and now learns from Indian yoga master Mohan. She was invited as an honorable guest to perform at the China-India Yoga Summit in 2015 and 2016. ·It is a guidebook especially designed for yoga beginners. ·It uses high-definition videos and illustrations for optimal understanding. ·It is printed in full color and features a simple design and layout.